In 2006, when Vantage was selected to operate Lynden Pindling International Airport (LPIA) in Nassau and oversee the airport’s redevelopment, LPIA was congested, outdated and not what travellers expected in a modern airport. From run-down terminals to two-hour queues that wound out of the building due to inadequate security facilities, the airport did not meet the needs of passengers, airlines or the community. In partnership with the Government of Bahamas, Vantage led the team that oversaw a four-and-a-half year, three-stage $410 million redevelopment project. The project included a new terminal as well as roadways, parking facilities and apron and taxiway improvements and expansion. 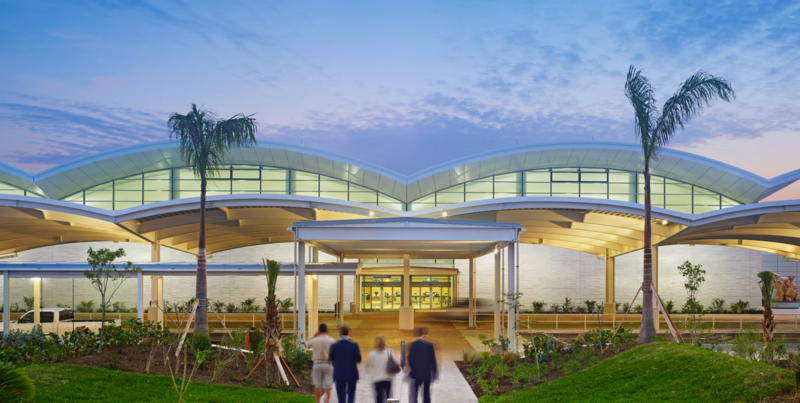 The project took place within the footprint of the existing terminal, focused on using local labour and contractors and creating a uniquely Bahamian sense of place. The new arrivals terminal signals a return to the quality of the reception that used to be characteristic of The Bahamas, with the warmth and beauty of our people and the environment reflected in our facilities. Anthony McKinney, Chairman, Nassau Airport Development Company Ltd.
For more details about Lynden Pindling International Airport, visit our Global Network.